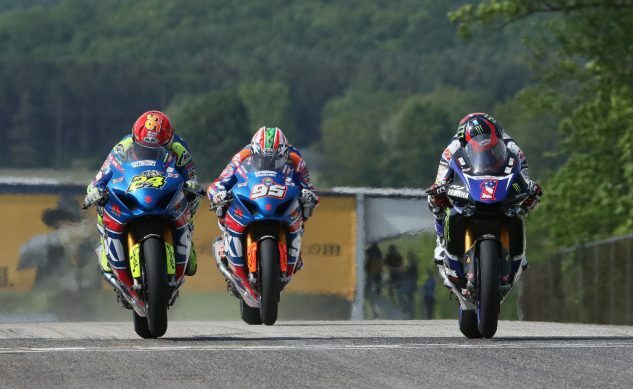 MotoAmerica In Road America: Can Elias Be Stopped? Toni Elias is in danger of running away with the 2018 MotoAmerica Motul Superbike Championship. Can he be stopped? Go watch this weekend and see! COSTA MESA, CA (May 30, 2018) – It might be a tad early to throw it out there, but if someone doesn’t step up to the plate and put a stop to Toni Elias, the Spaniard might just run away with the 2018 MotoAmerica Motul Superbike Championship. And, based on past performances at Road America, the site of this weekend’s Dunlop Championship at Road America, Cameron Beaubier has the best chance to do just that. While Yoshimura Suzuki’s Elias comes to Wisconsin with five wins in the six races held thus far in 2018, Beaubier and his Monster Energy/Yamalube/Yamaha Factory Racing YZF-R1 arrive in the cheese state with five career Superbike wins at the racetrack known as “Four Miles of Fun,” including his victory over Elias there last year in race one – by just .0005 of a second. Four of Beaubier’s wins at Road America have come in the MotoAmerica era, but he also came away with a victory in one of the two AMA Superbike races in Wisconsin the year prior – in 2014. Beaubier is by no means the only threat to Elias as the series ventures to Road America for round four of its 10 round series as there are plenty of others more than capable of stopping the Spaniard’s hot streak. But first we must start with the man himself – Elias. 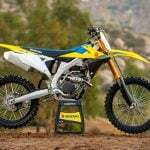 The former Moto2 World Champion and MotoGP race winner is on a roll, having won five of the six races thus far. The Yoshimura Suzuki rider’s only non-win was a fourth-place finish in the pouring rain of race one at the Circuit of The Americas. And now he rides a three-race win streak and a 35-point lead in the Motul Superbike Championship into Road America. He has also proven he can win at Road America, having taken his first career victory (and one of his 10 wins on the season) at the track in race two last year. If Beaubier does manage to win a race at Road America, it will end the longest drought of his MotoAmerica Superbike career as his last win came 11 races ago – in race one at Pittsburgh International Race Complex on August 15 of last year. The only man to win a race this season other than Elias is Yamalube/Westby Racing’s Mathew Scholtz, the South African taking victory in the aforementioned wet race in Texas. 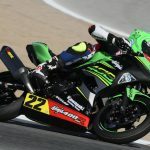 But Scholtz has proven to be competitive in the dry as well, as he’s been on the podium in five of the six races so far in his rookie season of Superbike racing. Scholtz also won the second of two Superstock 1000 races at Road America last year en route to taking the title in the now-defunct class. Scholtz is tied on points with Beaubier, the pair hoping to cut into Elias’ 35-point lead at Road America. Fourth in the series coming into Wisconsin is Attack Performance/Herrin Compound Yamaha’s Josh Herrin, the 2013 AMA Superbike Champion and the only rider other than Elias, Beaubier and Scholtz to stand on the Superbike podium this year, by virtue of his second-place finish in the rain at COTA. Herrin is 63 points behind Elias. Fifth in the series standings is M4 ECSTAR Suzuki’s Jake Lewis, the Kentuckian finishing fifth in five of the six races in 2017. Lewis is just three points clear of Excelsus Print Solutions/KWR’s Kyle Wyman, the team owner/racer sixth and just four points ahead of Beaubier’s Yamaha teammate Garrett Gerloff. 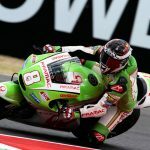 Gerloff has been on the podium twice already in his rookie Superbike season, but he’s also had two race crashes – including a big one in race one at the last round in Virginia that also took down Quicksilver/LEXIN/Hudson Motorcycles’ Bobby Fong and Elias’ Yoshimura Suzuki teammate Roger Hayden on the opening lap. Scheibe Racing’s Danny Eslick sits eighth in the championship on his BMW S 1000 RR, tied with Fly Street Racing’s David Anthony, the Australian Kawasaki ZX-10R mounted. Omega Moto’s Sebastiao Ferreira rounds out the top 10. JD Beach comes to Road America riding a two-race win streak and victories in three of the four Supersport races thus far this season. And that all adds up to a 30-point lead in the championship over his friend and neighbor Hayden Gillim, the Rickdiculous Racing rider the only one other than Beach to win a race this year. Third place in the series standings is held by M4 ECSTAR Suzuki’s Cory West, the veteran who has filled in admirably for Frenchman Valentin Debise who was injured in the Daytona 200. Debise will be back on board the Suzuki GSX-R600 at Road America this week with West set to ride a bike from TSE Racing. Canadian Braeden Ortt sits fourth in the title chase, three points better than M4 medAge Suzuki’s Nick McFadden and YCRS-backed Anthony Mazziotto, the two former Superstock 600 riders tied for fifth and just one point better than Quicksilver/LEXIN/Hudson Motorcycles’ Richie Escalante. The Liqui Moly Junior Cup should be hotly contested at Road America and a drafting war on the small-bore motorcycles. Leading the way coming into round three of the class is French Canadian Alex Dumas, the KTM Orange Brigade/JP43 Training rider 22 points clear of his closest rival after winning three of the four races thus far. Yates Racing’s Ashton Yates is the rider closest to Dumas, the Georgian having won race two in the rain at Road Atlanta in round one on his Kawasaki. Yates, meanwhile, has his hands full with AGVSPORT America/MonkeyMoto’s Jay Newton, the Texan earning his first career MotoAmerica podium in race one at VIR on his Yamaha YZF-R3. Sean Ungvarsky has the second KTM RC390 RR slotted into the fourth spot in the championship, just seven points ahead of Attack Performance/Herrin Compound Yamaha’s Gavin Anthony, the Ohioan finishing second to Dumas in both races in Virginia. The third round of the Twins Cup will be held on Saturday afternoon at 4:30 p.m., with championship leader Chris Parrish leading the way. Parrish and Xavier Zayat won the first two races, but Parrish leads the title chase over Jason Madama by 12 points. Zayat didn’t race in the first round at Road Atlanta but was impressive with his runaway win at VIR. The Stock 1000 class will hold its lone race on Sunday afternoon with the field trying to stop the win streak of Weir Everywhere Racing’s Travis Wyman, the Las Vegas resident winning both rounds thus far. He leads Andrew Lee Racing’s Andrew Lee by 10 points with Big ‘Un Motorsports’ Timothy Bemisderfer sitting third in the title chase. Road America has hosted AMA Superbike races since June 1, 1980 when Freddie Spencer rode his Honda to victory on the four-mile road course. 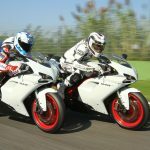 This year’s Dunlop Championship at Road America will mark the 38th straight year of Superbike racing at the picturesque facility. Several riders in the paddock have tasted success at Road America, but two of them are actually employed by MotoAmerica. Both MotoAmerica President Wayne Rainey and MotoAmerica Race Director Doug Chandler won Superbike races in Wisconsin. Rainey won his in 1986 with Chandler taking his lone victory at Road America in 1990.
Who has won the most AMA Superbike races at Road America? That honor goes to Australian Mat Mladin with his nine career wins at the popular venue. Josh Hayes earned eight wins at Road America in his career and Miguel Duhamel and Cameron Beaubier are tied for third with five wins apiece. In addition to his five Superbike wins, two-time MotoAmerica Superbike Champion Beaubier also has a victory in the now-defunct Daytona SportBike class at Road America. Last year’s Motul Superbike races were thrillers. Cameron Beaubier topped Toni Elias by just .0005 of a second in race one with Roger Hayden just .153 of a second behind in third. 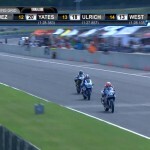 In race two, Elias topped teammate Hayden by just .131 of a second with Beaubier third – just .854 of a second behind. In the Supersport class, Garrett Gerloff beat JD Beach by 3.3 seconds in race one with Beach bouncing back to win race two by .102 of a second. Benny Solis, who is now racing in Europe, and Valentine Debise were third in the two races. Benjamin Smith annihilated the KTM RC Cup field in race one last year, winning by an unheard of 9.6 seconds. Normalcy returned a day later when Jackson Blackmon beat Cory Ventura by .296 of a second with Smith just .316 from first. Jake Lewis and Mathew Scholtz won the two Bazzaz Superstock 1000 races with Conner Blevinswinning both of the Superstock 600 races. 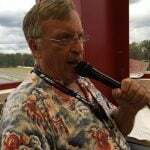 With his two victories in round three at VIR, Toni Elias now has 21 career AMA Superbike wins. When he won his 20th on Saturday in Virginia, Elias became the fastest rider to reach the 20-win mark in AMA Superbike history. Cameron Beaubier has the most AMA Superbike wins of any active rider, the Californian having amassed 24 career wins. Beaubier is fifth on the all-time AMA Superbike win list, three clear of his rival Elias and four behind former AMA and World Superbike Champion Ben Spies. The three riders at the top of the all-time Superbike win list are: Mat Mladin (82), Josh Hayes (61) and Miguel Duhamel (32).